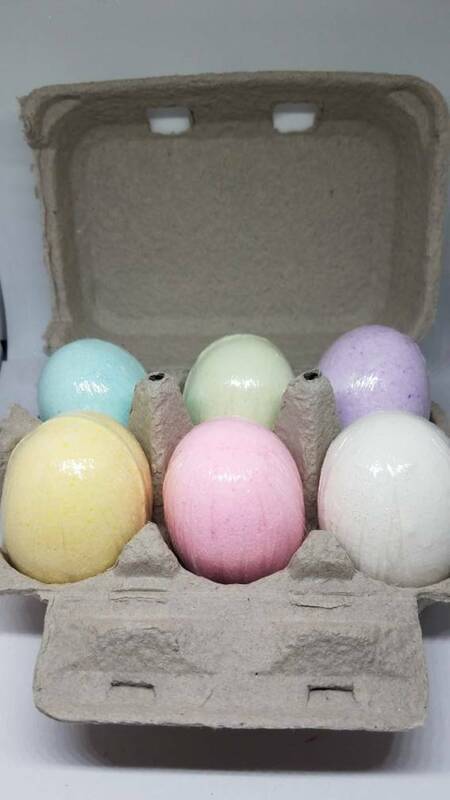 This set of 6, differently colored bath bombs, each a different scent (pastel pink, lavender, pastel green, pastel blue and pastel yellow) comes in it's own cute genuine egg carton. Each bomb is the size of an extra large egg, about 2.75 oz each. Each bomb has a surprise color inside. Each bomb will fizz, foam and condition your bath water for a spa like experience.